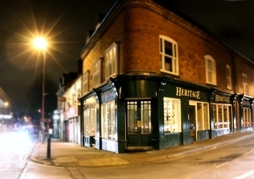 Heritage Estate Agency in Kings Heath are dedicated to assisting people to buy, sell and rent property within Kings Heath, Moseley and surrounding areas. We are an independent firm of Estate Agents, established in 1993 and owned and managed by property professionals . Our success and reputation arises from providing a high quality customer based service with a pro-active attitude to selling or letting your property. Our staff are skilled, enthusiastic and friendly. This, combined with our intimate local knowledge, years of experience and professional approach sets up apart from our competitors. Our prominent High Street position and welcoming office makes us the obvious choice for both sellers and landlords and those wishing to buy or rent a property in Kings Heath or Moseley.